Few people have done more to shape Canadian trademark law than Daniel Bereskin. In 1972 he presented a paper setting out a bold critique of the country’s controversial registered user system – a position that was debated among legal scholars for a number of years. Finally, in the 1990s a court came down in favour of his interpretation of the law and, in turn, the Canadian government abolished the registered user scheme. Today Bereskin remains one of the foremost experts in IP law in Canada, having authored over 50 papers and articles. Bereskin is a founding partner of Bereskin & Parr, which has grown under his leadership into one of Canada’s largest IP boutiques. He is also a prominent figure internationally, especially given his active participation in the International Trademark Association (INTA), where he has served as legal counsel and as a board member. 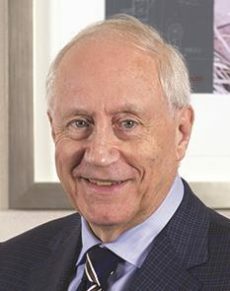 In 2004 Bereskin received the President’s Award – INTA’s highest accolade.